Chartered Institute of Logistics and Technology (CILT) is and International Professional body representing the logistics and transport industries worldwide. The main objective of CILT is “To promote and encourage the art and science of logistics and transport“, and this was achieved with the help of membership and professional qualification programs. CILT South India is offering International certification course for students who are looking for logistics courses in kerala, and the certification would help in getting jobs in India as well as abroad especially in Emirates. 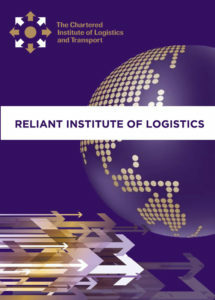 Reliant Institute of Logistics is playing a key role with the CILT to uplift the quality education in logistics field with the international certification by establishing logistics colleges in kerala. We are mainly concentrated in the quality education with Industrial exposure and experience, for that well experienced faculties with several years of working experience are fleeted on the Academic Panel. The internship given for the students in the prominent logistics and shipping countries give them the real time experience and door for to easy grab of job in the logistics industry.